A taste of what we’ve been getting up to! 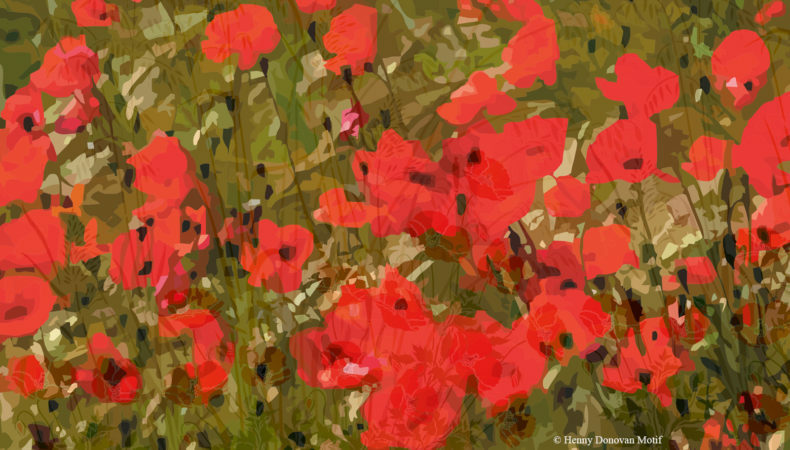 As Britain is host to a wonderful array of exciting wild botanical flowers Henny Donovan Motif thought what better way to celebrate this than to create a new stencil range in honour of our native beauties?! 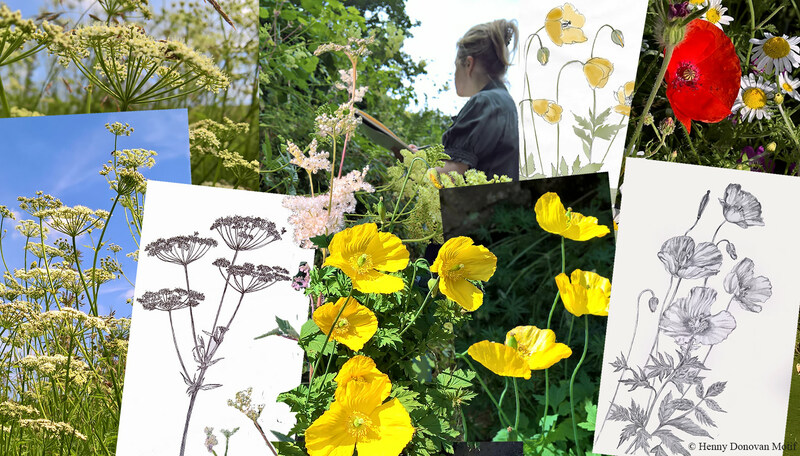 Henny, with sketch pad in hand, has been busy this summer exploring the local wild hedgerows and woodlands of the Brecon Beacons. 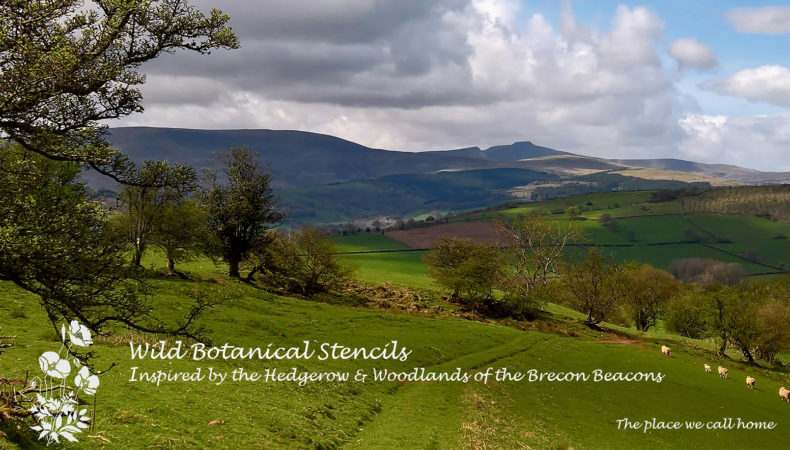 Having so many wonderful and inspiring wild botanical sketches to choose from it was a challenge to select the eventual designs to be included in the forthcoming range the ‘Wild Botanical Stencils – inspired by the Hedgerow & Woodland of the Brecon Beacons’. 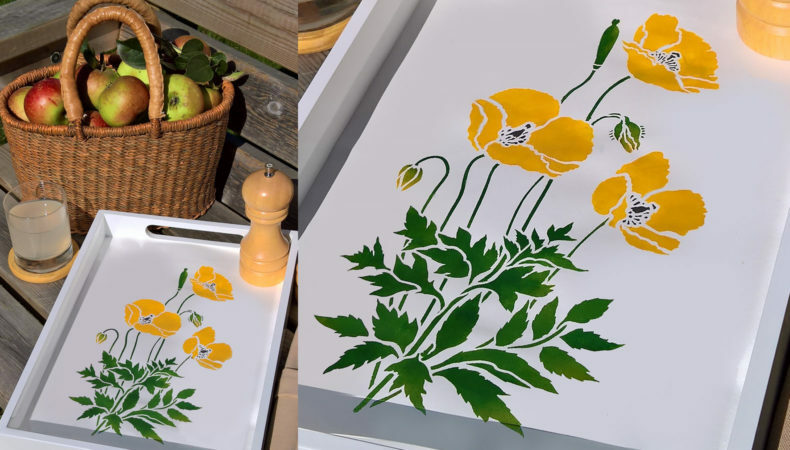 First to be released this year (with more to follow soon) is the Little Wild Poppies Stencil – inspired by the abundant Welsh Poppy flowers of country lanes and cottage gardens. This delicate, perennial little wild flower has a self-seeding regularity and pops up between cracks in paving slabs, along stone walls and any nook and cranny in the garden that takes its fancy. It can withstand wind, rain and harsh sun in a way that defies its apparent fragility. Originating from the Pyrenees, these wild flowers create a bloom of warm yellow colour across the summer months, the fine, bright yellow petals always alluring to the eye of the passer by. Constantly swaying in the slightest of breezes it can be quite resistant to the artist’s pen, but we got there in the end!! Henny’s studies above in pencil, felt pen and photographic mediums. 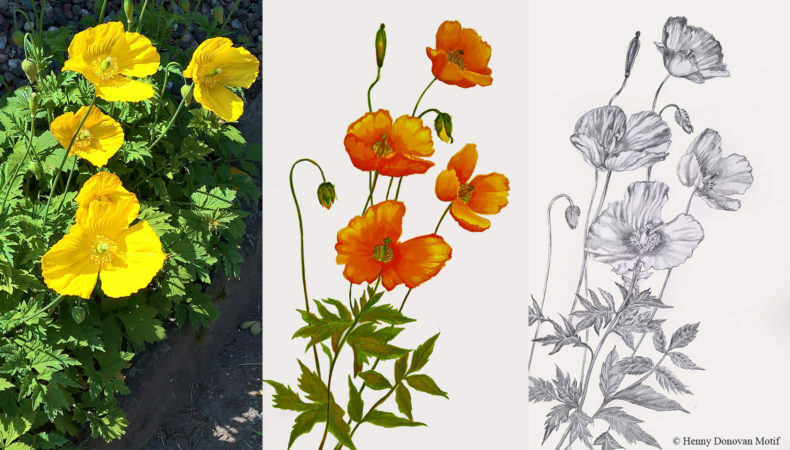 The charming Little Wild Poppies Stencil depicts three wild poppy flowers swaying in the breeze, with 2 flower buds, a tapering seed pod and intricately detailed foliage – all on one small stencil sheet. Perfect for getting creative with! 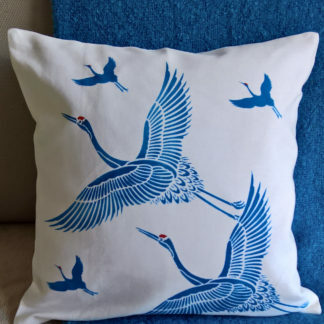 Brilliant on small home accessories, such as trays, boxes and picture frames. Use our Stencil Paints and Acrylic Varnishes for these creations. 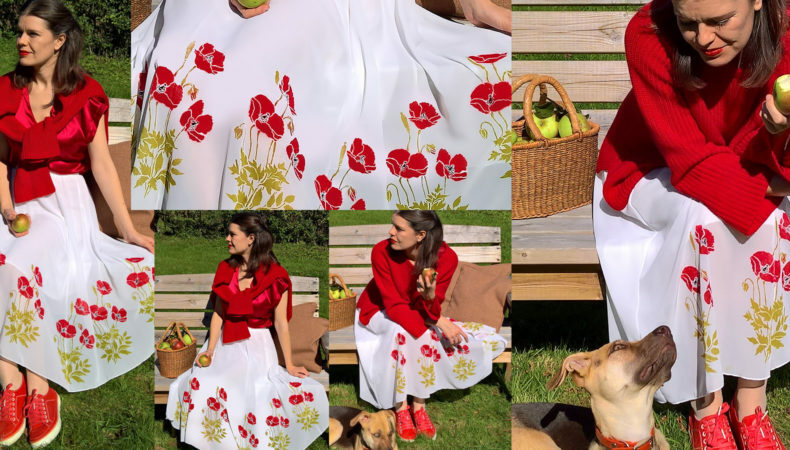 Gorgeous in red on a white gauzy skirt – there is something timeless about a classic red poppy on white and this turns an ordinary skirt into a designer special! Use our Fabric Paints for washable results. 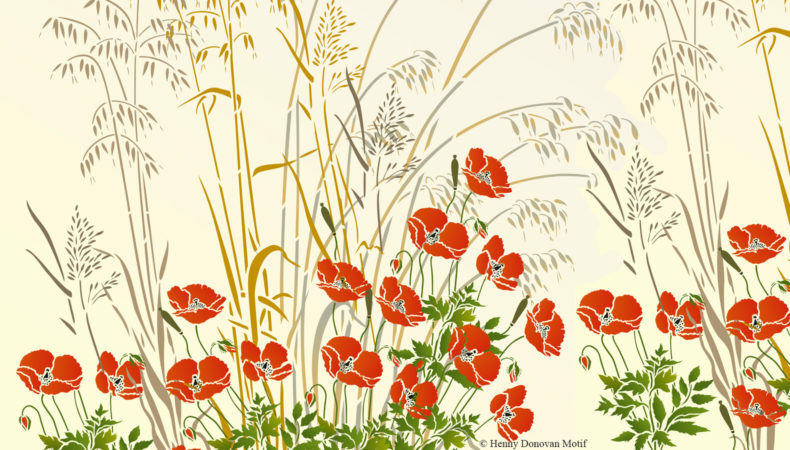 This does have a romantic feel – funny that in Persian literature, the red Corn Poppy is known as a Flower of Love! 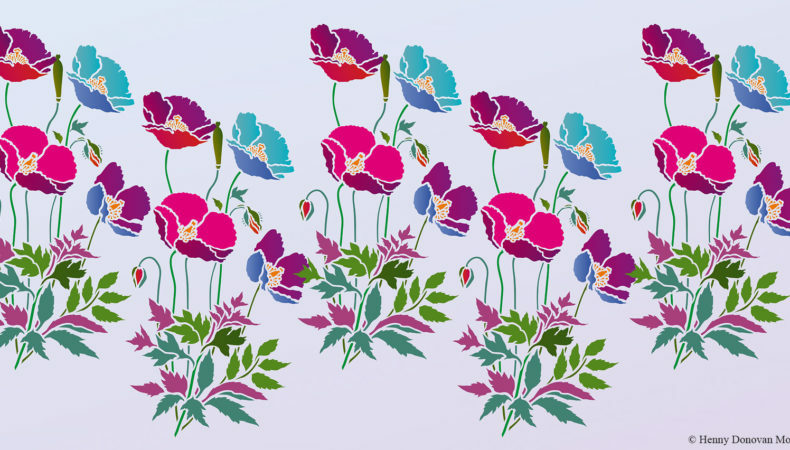 The Little Wild Poppies Stencil is perfect for making gift cards and wrapping paper for all occasions. Cards stencilled with Very Berry, Jet Black and Hedgerow Stencil Paints. 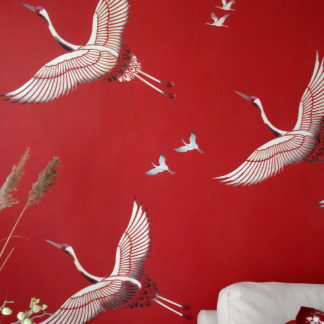 Red wrapping paper stencilled with Ice White Stencil Paint. 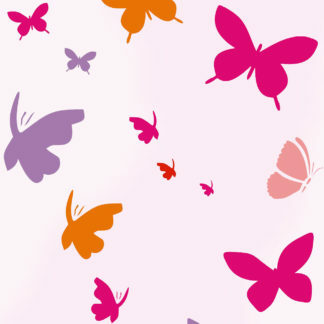 Customers can safely use this stencil for food crafting and making a beautiful sugar display. Based on the original artwork and extensive studies Henny produced this year, this stencil has a graceful effect that is true to life, with a botanical authenticity. 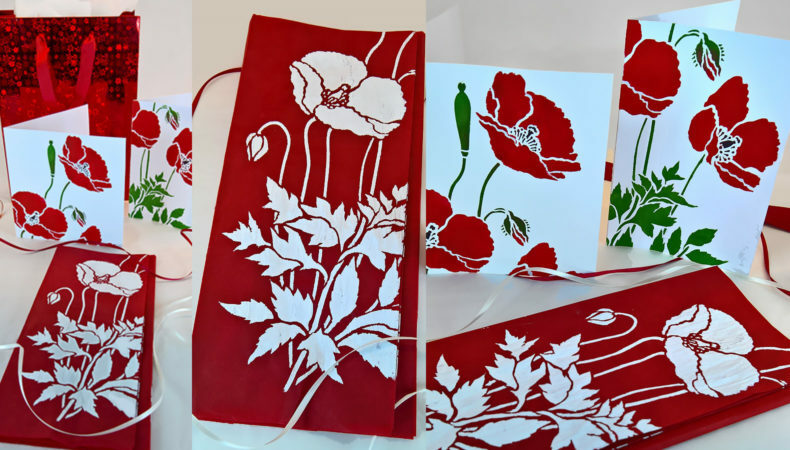 We have received a lot of requests from customers to add a smaller poppy to our Wild Poppy Stencil Range, so Henny created this design, knowing it would have a great versatility for our creative customers! As well as classic poppy colours ranging from yellow, orange and red, working with a bright colour popping palette gives a very updated twist to this design. Different flower or leaf sections of the stencil can be used to add to the design as well, to create fuller or taller designs. 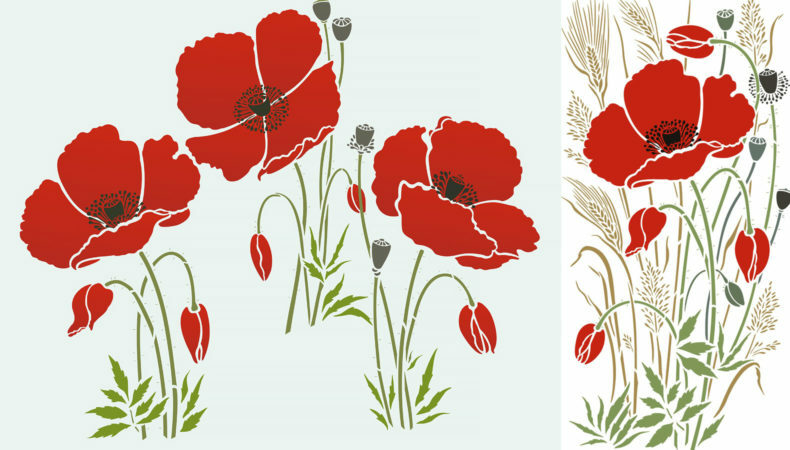 The New Little Wild Poppies Stencil is life size and fits perfectly with our Grass Stencils Range. Brilliant for grass meadow mural effects. Try this new design with our Wild Oat Grass Stencil, Wild Slender Oat Grass Stencil (both featured above), Wild Meadow Grass Stencil, Wild Rye Grass Stencil and Teasel Stencil. 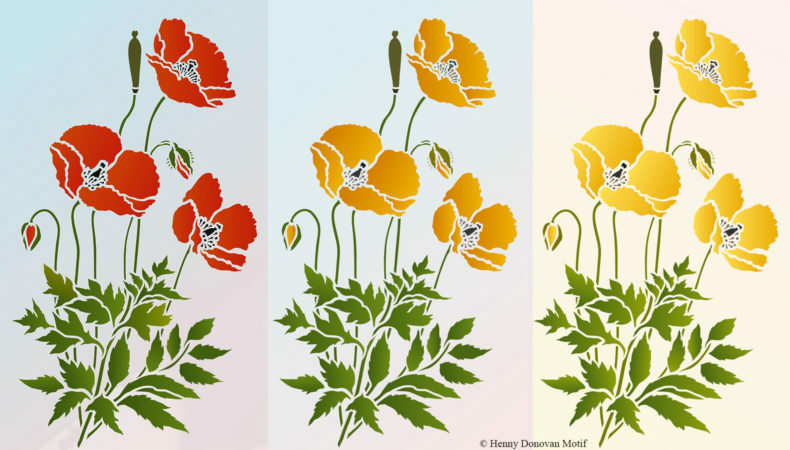 In 2009 Henny created the popular Wild Poppies Theme Pack, Large Wild Poppies Theme Pack, Large Wild Poppy & Grasses Stencil and the Giant Poppy Stencils as part of the WILD FLOWER range on the Henny Donovan Motif website. The many hours of sitting in meadows drawing paid off, almost a decade later the love of these stencils remains strong. 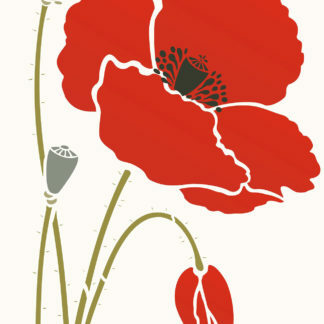 Now adding this Little Wild Poppies Stencil, intricate and delicate, we have the full set of sizes! 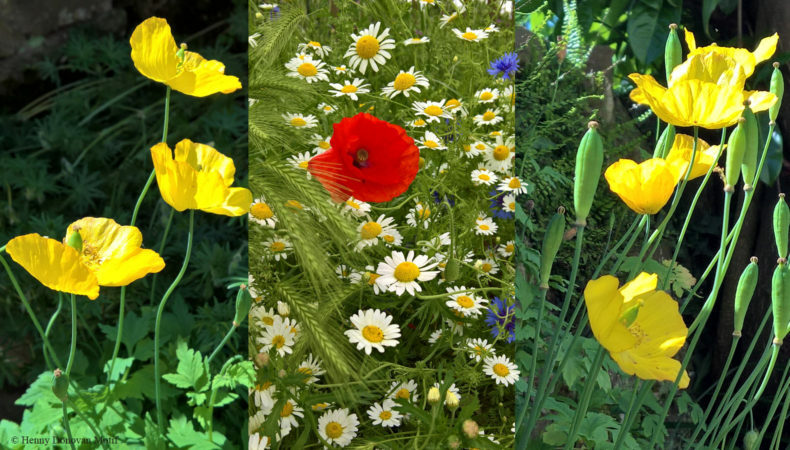 Other British Poppies of the Papaver genus remain very similar to the wild poppy. Therefore in association to the Remembrance Day Poppy we are proud to be launching the Little Wild Poppies Stencil prior to Remembrance Day and will be donating 10% of all Little Wild Poppies Stencil Sales in November 2018 to the Poppy Appeal. The Remembrance Poppy is the common field poppy (Papaver rhoeas), one of the first wildflowers to colonise disturbed ground or fallow cornfields. It became identified with the battle zones of the First World War, or Flanders Fields, which were originally corn fields. 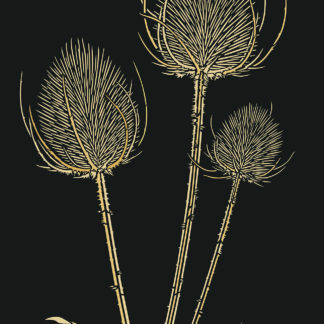 Watch this space for more new designs from the Wild Botanicals Stencils Range – coming soon!